A canvas print can look eye-catching on any wall, and it’s the perfect way to enhance a much-treasured photo. 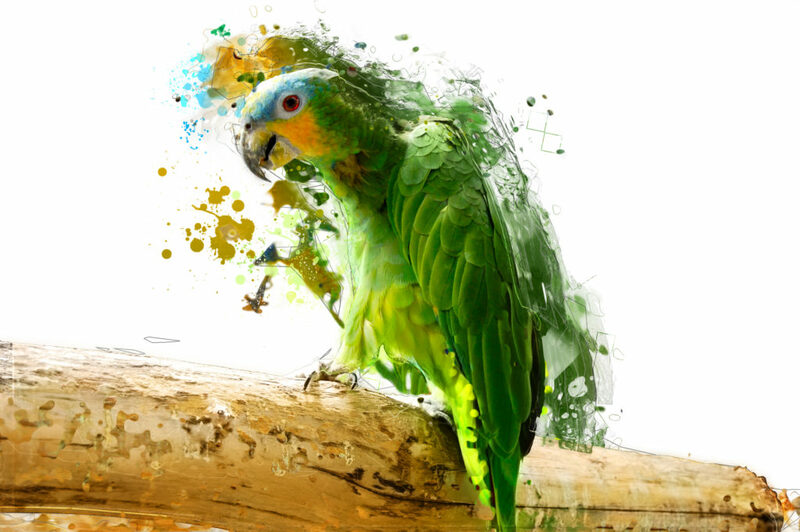 With the right equipment and know-how, you can even create a canvas print yourself. Firstly, you’ll need to gather the materials required for making a canvas print. This includes your blank canvas, a cutting board, utility knife, some foam brushes, black paint and some Mod Podge matte finish specialist craft glue. You can buy all these materials from your local arts and craft or hobby store, or search online. You’ll also need your chosen photo that you wish to mount onto the canvas. Get your photo enlarged to your required size. Pay attention to the quality of the print paper and get this done professionally, rather than at home, for the best results. Make sure the photo is blown up to the corresponding size of your canvas. Again, look for a decent quality, sturdy canvas. Lay your canvas flat on a table and cover it with the Mod Podge glue, using your foam brush. Make sure to cover the entire surface, but aim for applying a thin coat rather than making it so thick that it causes your photo to bubble. Next, carefully place your photo on the glue-covered surface of the canvas, flattening it out with your hand to release any air bubbles. You then need to let the photo completely dry. One tip you may wish to consider to eliminate air bubbles from forming is placing a heavy object such as a book on the back of the canvas. This pressure keeps air bubbles at bay and encourages the photo to stick. 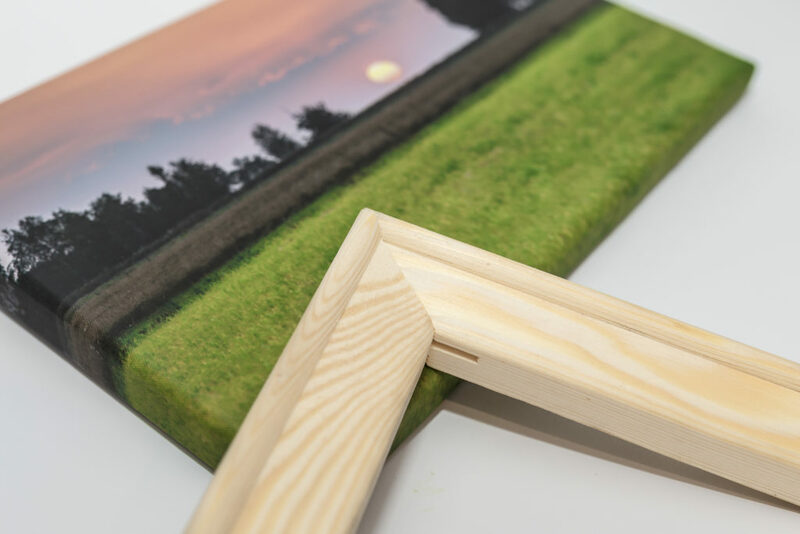 Once your photo is fully dried, it’s time to check if there are any parts of the photo that overhang the canvas and require trimming. For this, you’ll need your utility knife and cutting board. Carefully cut off any excess photo, using the edge of the canvas as your guide. To create the textured finish that you get on canvas prints, thinly paint layers of the Mod Podge glue across the front of your photo. Don’t worry about how this looks as you apply the glue. When it dries, it will form a clear yet textured appearance. As soon as you have applied the Mod Podge, but before it dries, take another blank canvas, and ‘stamp’ it gently across all sections of the photo. If you use the same size of canvas, just stamp this once, but for a smaller canvas, you’ll need to lift it and repeat the stamping process across the entire surface. Finally, paint the edges of your canvas with your black paint. If you prefer, you can also do this bit at the beginning, before you apply the photo. 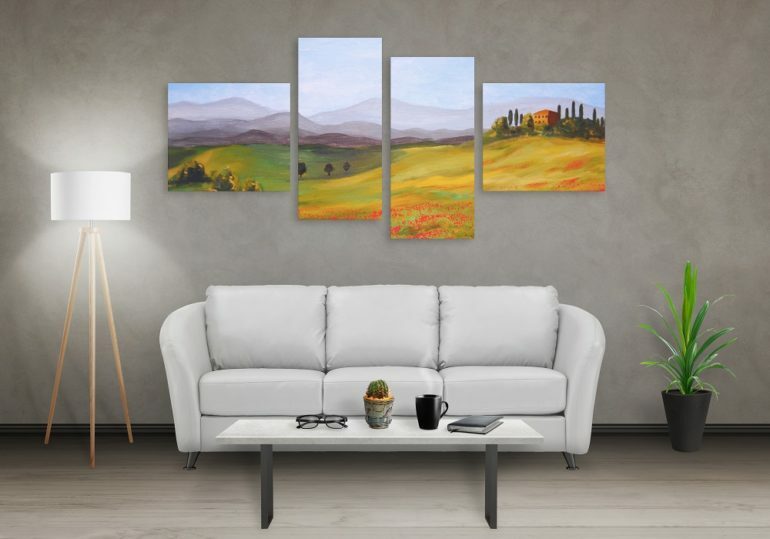 This is a fun and inexpensive way to produce lovely canvas prints, but if you want to make the process much easier, make use of the Pixa Prints website. With quality printing and professional results, you’ll achieve canvas prints that will brighten up any wall.